When I started out along this path of new experiences, I had no idea that so many of them would be food related. Yet here we are at week 34 and once again I'm sharing images of recipes I've tried out for the first time. This week, I have one savoury recipe and one sweet recipe. Not bad, but could be better. Note to self: BUY KING PRAWNS NEXT TIME! 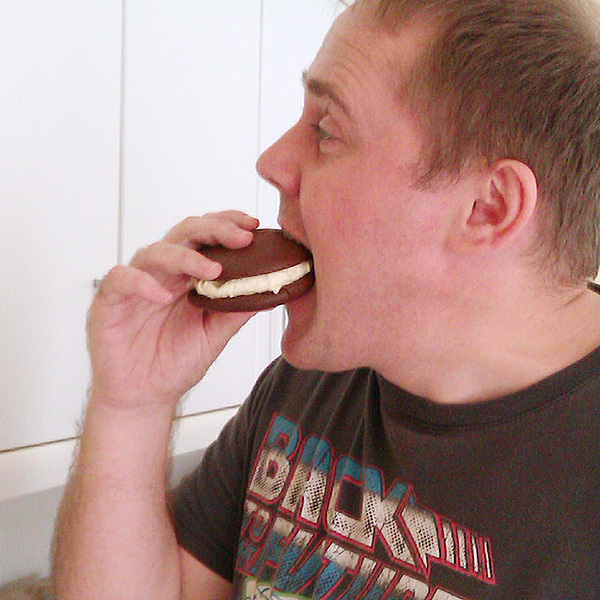 Next up and it was Whoopie time! I've been wanting to make these for a while. Even the name "whoopie pie" sounds like a celebration of all things good & sweet doesn't it? And oh boy are they sweet!!! Both recipes are from Lorraine Pascal's Baking Made Easy recipe book ... which just so happens to be my favourite recipe book at the moment!!! Can you tell? Sue, me too, many new food experiences! However, I'm not so good about trying new recipes. I think prawns any way turns out yummy and so does yours. Can you box over some of those whoopi pies for me? They look overly scrumptious. We've made the same mistake with buying shrimp before!!! Thankfully we've all learned our lessons!! Yummy! Everything looks delicious, Sue! ooo lots of yummies this week! 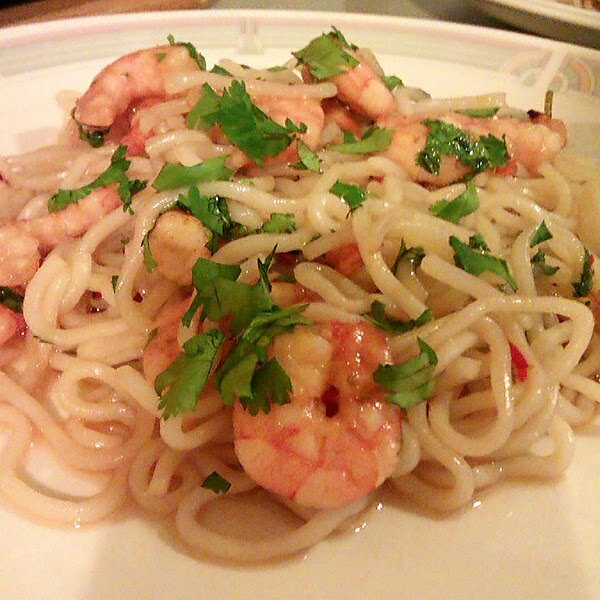 I recently cooked a shrimp dish as well and it was yummy! Yours look delicious. I love noodles! 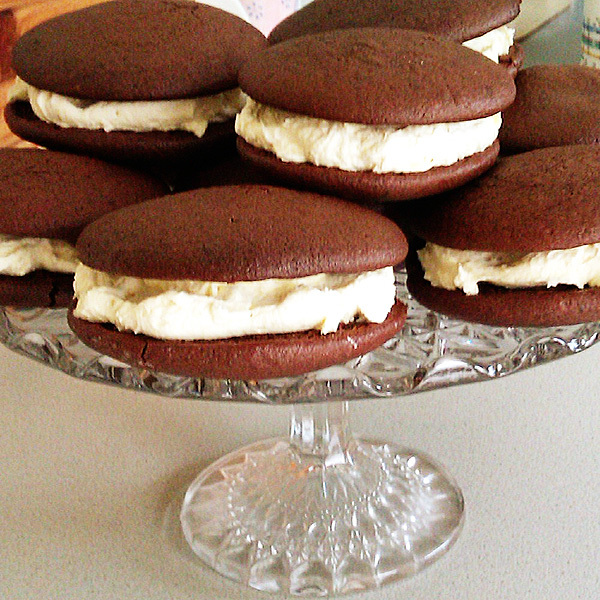 and the whoopie pie looks gorgeous! Oh Sue that food looks good! Especially liked your prawns - great idea to throw the noodles in there and coriander. Coriander is one of my favorites of all time - it's ranked even above basil I think. Would put it on anything I could - do you love it too?